A Dialogue Between Eater and Eaten is a short play written for the inaugural publication of art/culture magazine, White Zinfandel. White Zinfandel assigned each contributor a dish to interpret freely. 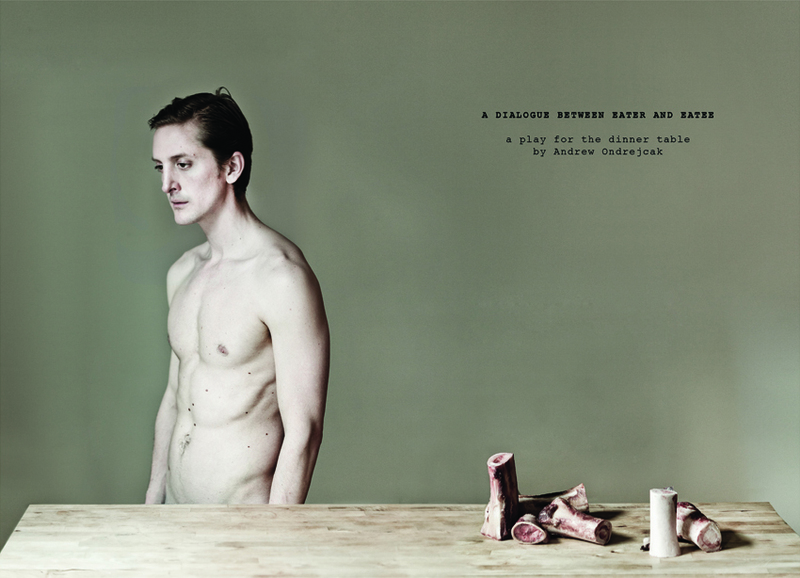 A Dialogue Between the Eater and the Eaten is a theatrical allegory based on the dish Baked Marrow Bones.